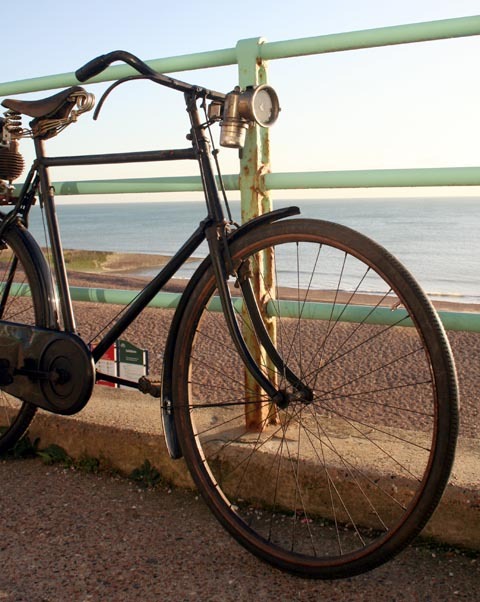 This lovely old 1919 Gents Royal Sunbeam sports the latest 1919 bicycle accessory – a Simplex engine to fit onto the rear carrier. 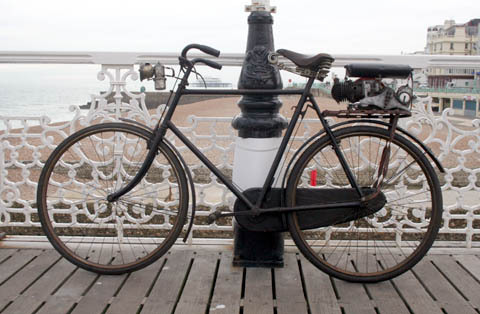 The bicycle is in running order, though unrestored (just how we like them). 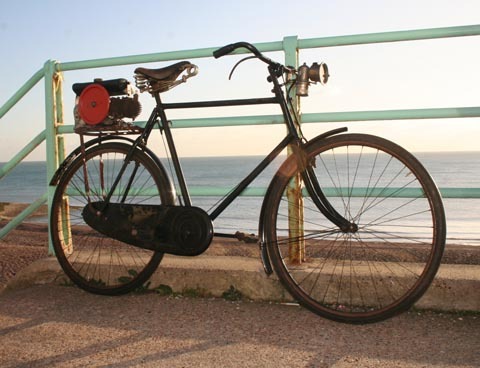 One of the (many) things I enjoy about cyclemotors is that they invariably have two histories, ie that of the cycle as well as the engine. 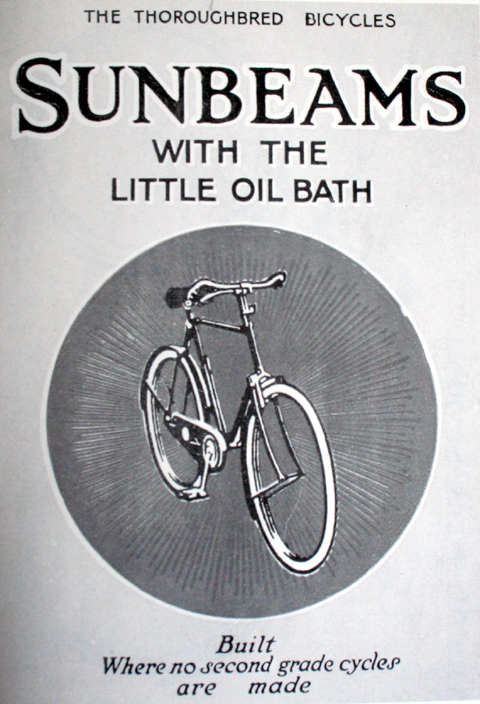 Sunbeam founder John Marston died in 1918 and, in 1919, the company was bought by Nobel Industries Ltd (later to become I.C.I Ltd). 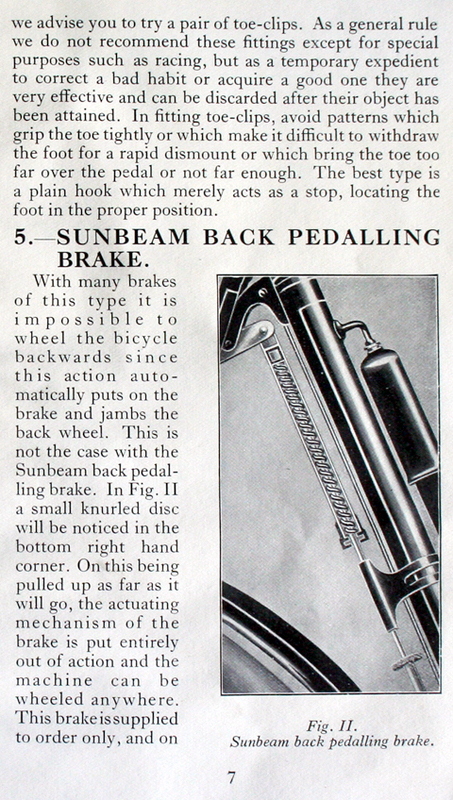 The new company had made lots of money from armaments during WW1 and they poured their profits into Sunbeam. The company maintained its previous very high standards and continued to produce quality machines. 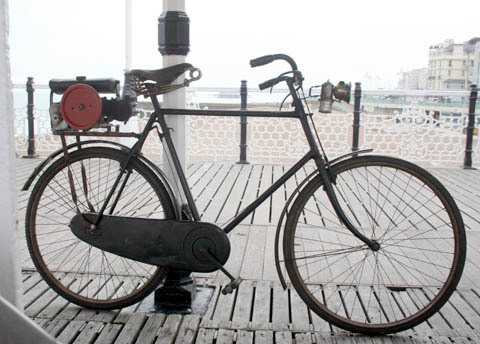 The price of this model in 1919 was £19 19/-. 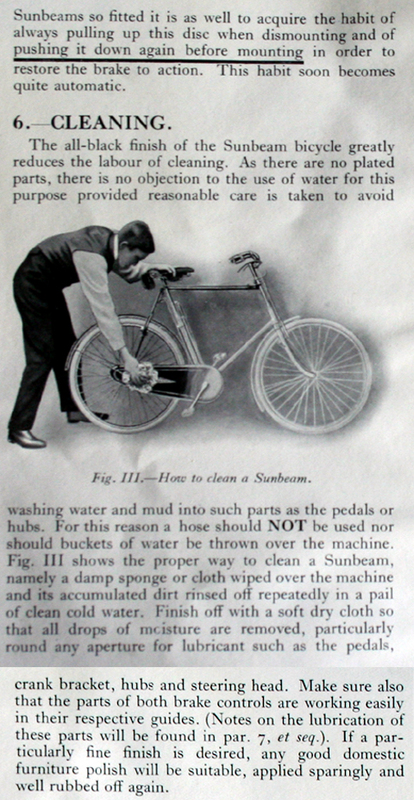 It’s certainly testament to their reputation as the ‘Rolls Royce of bicycles’ that so many Sunbeams have survived to this day and can still easily be used on the road. 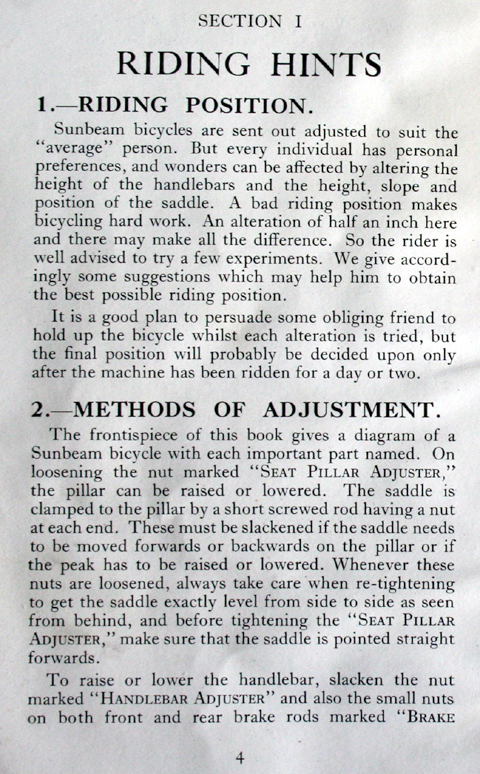 I’ve reproduced some of the Sunbeam handbook at the bottom of the page. 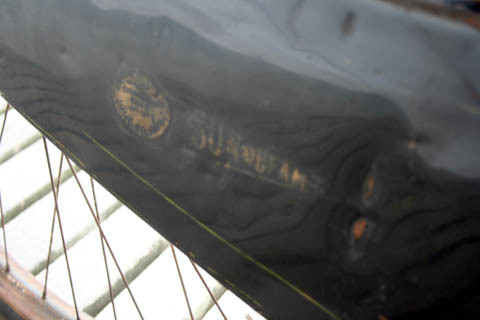 To sum up this particular 1919 Sunbeam, it has new tyres, the brakes work well, the chaincase is complete – and the original Sunbeam transfer on the chain-case is just about visible (below). The front transfer has faded. 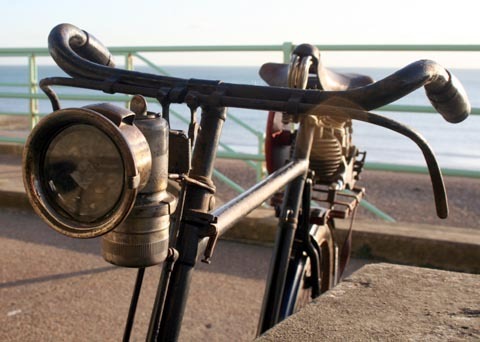 The front light is not functional. 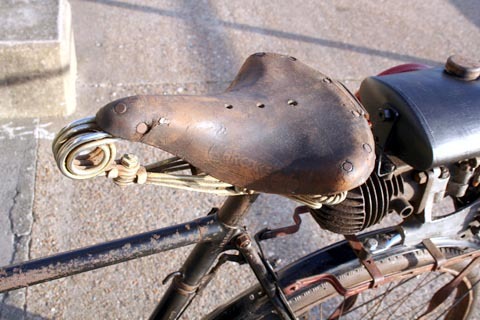 The original Brooks saddle is worn but in good condition. 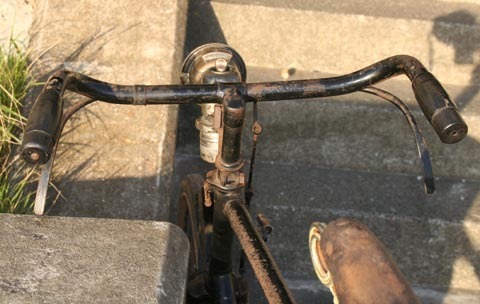 The paintwork is unrestored, so you have a choice to either leave it cosmetically original or re-paint it. 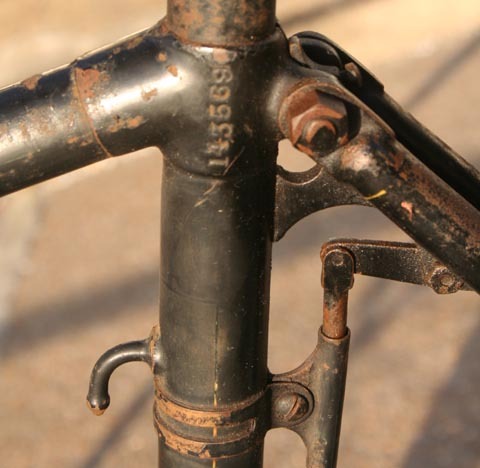 The frame number is 143569, dated by Peter Card as a 1919 model (and verified by the book ‘Sunbeam Cycles: Volume 3’). 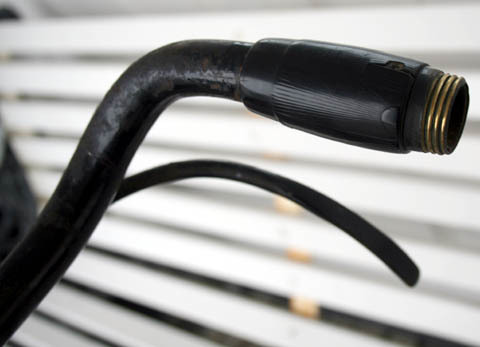 The handlebar grips unscrew at the ends (for storing an emergency tyre repair kit – see the diagram in the handbook at the bottom of the page). 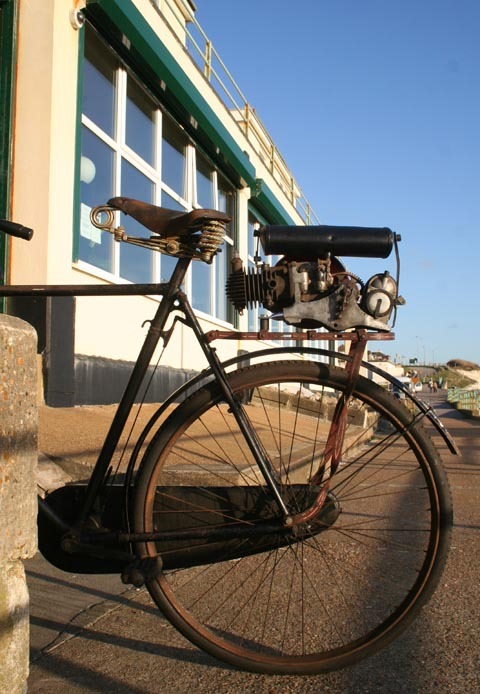 The engine has good compression, and a good magneto and carb. 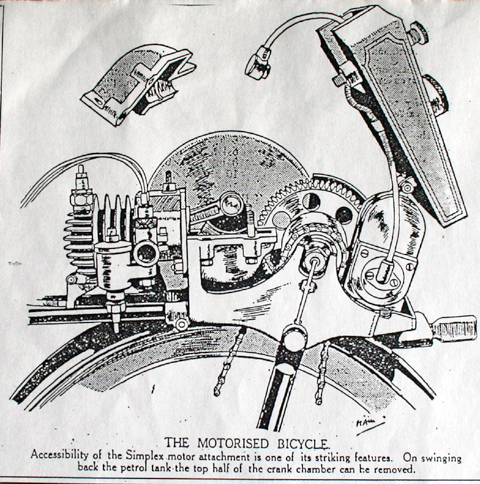 But, as you can see by comparing the pictures with the illustrations, it has an incorrect petrol tank. 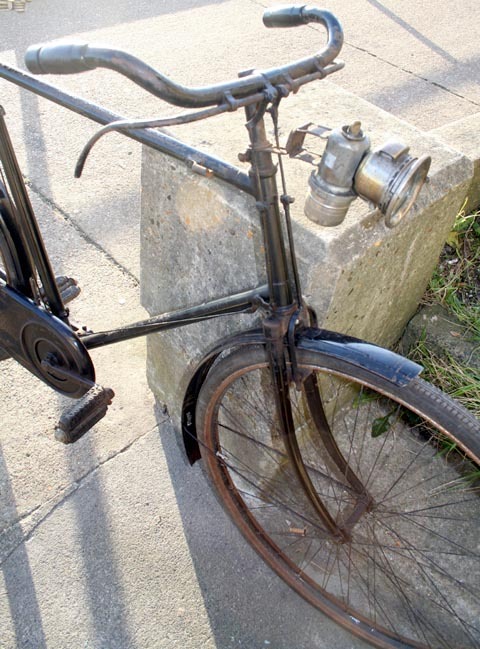 It’s also missing its exhaust, chain and the wheel sprocket. 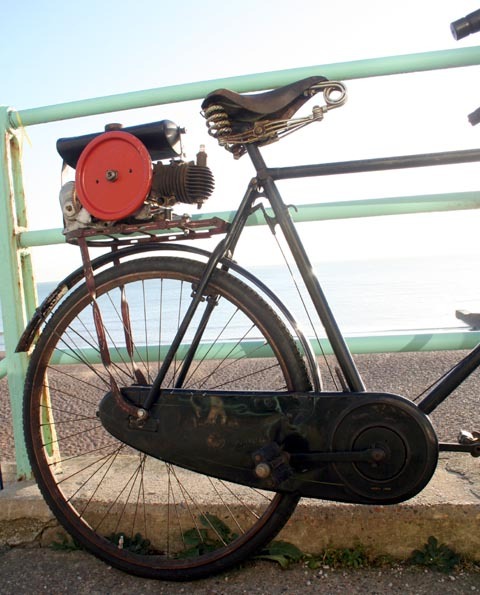 Though the Simplex is definitely a rare engine, my friend also has one, and he’ll be getting some wheel sprockets manufactured. I’d provide the successful purchaser with contact details as required. 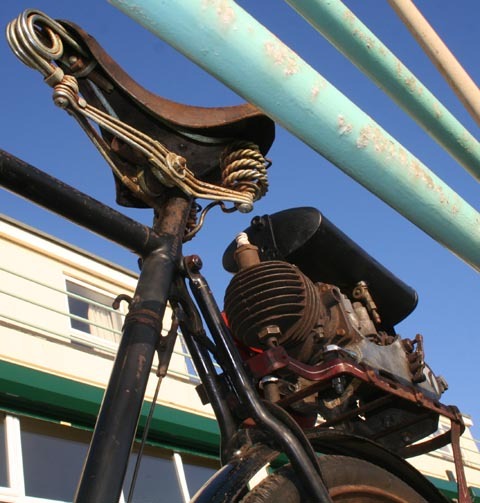 Also, if required by the new owner, I have detailed plans for making a petrol tank to the original design, and a drawing of the exhaust. 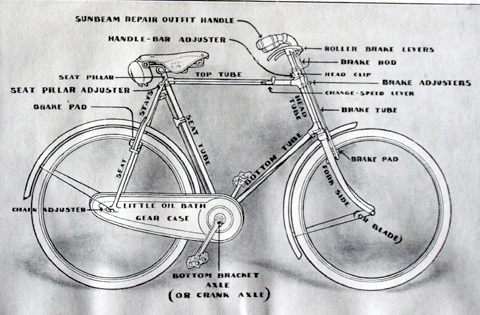 I also have copies of literature describing its mechanical design. Though I’m sure you already realize, I’ll point out again that this engine is set up on the Sunbeam for display and it needs restoring. I’m not asking a lot of money for it. 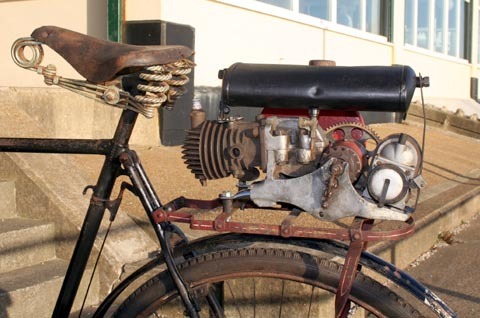 Engines such as this are obviously quite a simple design and not too hard to understand; the basic components and also research notes are included in the sale: so this 90-year-old vehicle should be a satisfying and interesting project for the winter months. I hope you can see all you need from the photos provided here, but if you have any questions, please email or phone me as below. 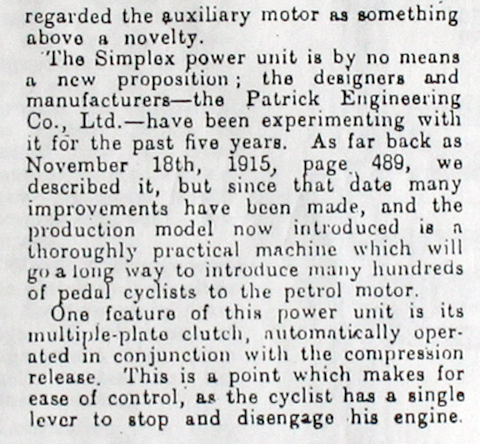 The designers and manufacturers at Patrick Engineering experimented with the Simplex for five years before it came onto the market. 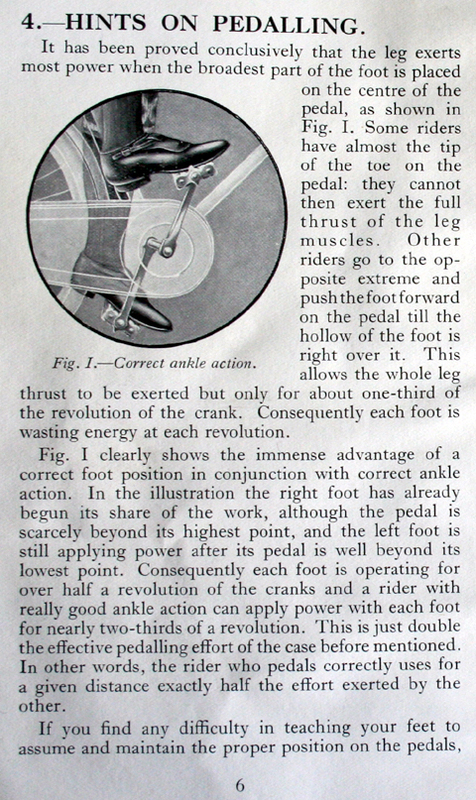 It was first described in the Motor Cycle magazine in 1915. One innovative feature of the Simplex unit is the multiple-plate clutch, automatically operated in conjunction with the compression release. 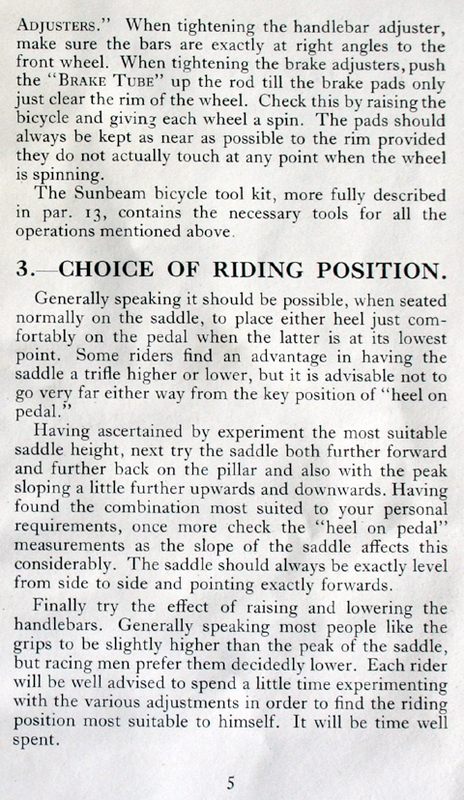 The rider therefore only needs one lever to stop and disengage the engine. 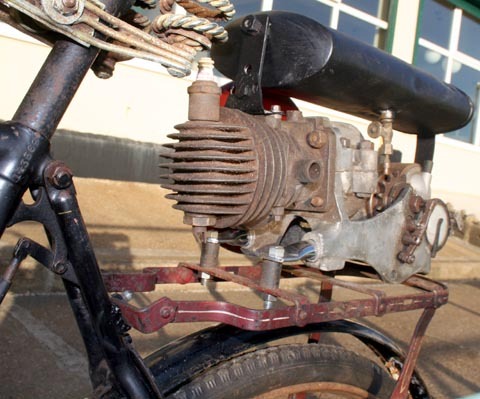 The 2-stroke engine with revolving countershaft clutch, weighs about 23lbs. 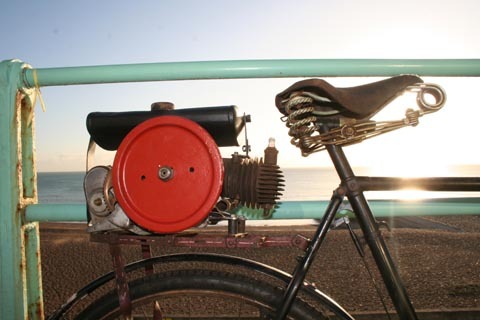 It is easily mounted onto a bicycle rear carrier. 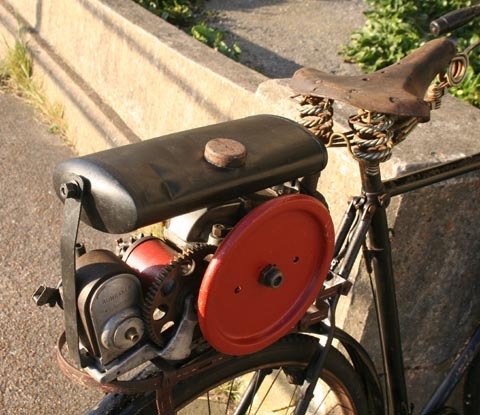 Patrick Engineering did design a 2-speed model. 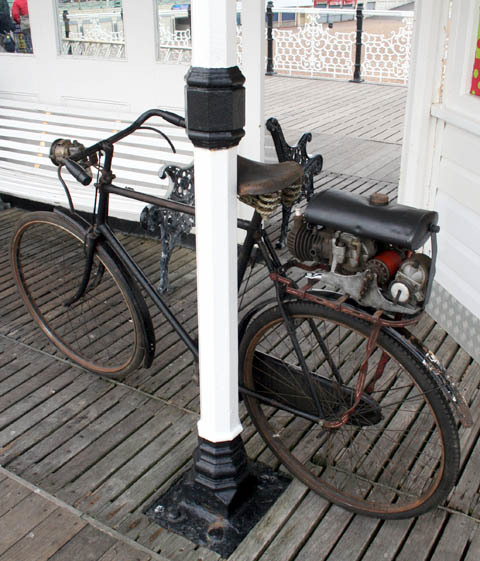 But the original single-speed unit was so efficient in road-tests, propelling the rider uphill with ease, that the 2-speeder did not go into production. 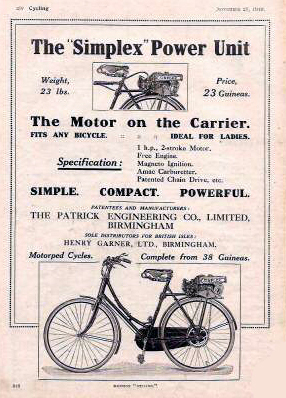 Sole distributor for the Simplex engine was Messrs Henry Garner Ltd. and it was priced at £23 guineas. 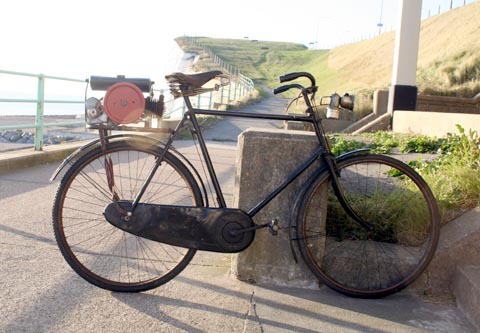 Sales started around October 1919, with initial plans for production of 100 per week.